These are excerpts from a pamphlet forwarded to U.S. Secretary of State William Seward, Oct. 28, 1861, by the major general in command in Baltimore, with this notice: "I inclose a pamphlet containing an address by three peace nominees of Harford County. It is very impudent, but is their language such as to warrant their arrest?" Seward's answer is not recorded, but men were arrested for similar utterances and jailed for months without being charged and without being allowed to communicate with a lawyer. We have thought it best to address you explaining frankly the convictions that influence and the principles that govern us in the present crisis; principles we believe to be sound and convictions we know to be honest. Intending to adhere to them and willing to be judged by them we do not hesitate to submit our opinions unreservedly for your censure or approval. Within our borders the Federal courts have always been open, their process unobstructed, their orders never resisted (but by Federal officials). Through this section every law of Congress could be enforced and every offense known to the code punished. Yet Maryland by deliberate acts of the Administration has been outlawed; her government subverted; her laws disregarded and defied; her property seized, and force under the name of martial law has superseded the civil power. Her citizens are arrested without warrant; the security of their papers and effects violated; their right to keep and bear arms infringed, and freedom of speech and of the press not only abridged but suppressed. Every man knows that these things are done in our midst; no honest man can deny that they are palpable breaches of the Constitution for no man can point to one line in that Constitution or to any law that authorizes, justifies or excuses them. Acts now so sanctioned are encroachments upon the reserved rights of the States and the people, and if prohibited are revolutionary. When the Government is not controlled by the paramount law, when it can do and does what that law does not permit or forbids it is unrestrained and absolute. Wherever the law is superior to the ruler civil liberty exists; when the ruler is superior to the law; where at his discretion he can supersede, suspend or disobey it he is by whatever name he may be called despotic. 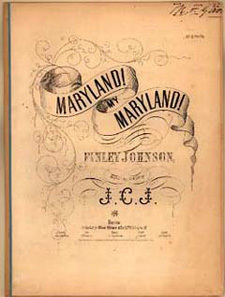 Believing that powers fatal to her rights as a State and destructive of the liberty of her citizens are exercised by those administering the General Government Maryland asks whence they are derived; asks to be shown the grant, and she is told that South Carolina has seceded and the cotton States are in rebellion. But Maryland has not seceded, and unless its repudiation by South Carolina destroyed the Constitution our rights under it are not lost; if it is destroyed the Government, its creature, has ceased to exist. We have next the much-abused maxim inter arma silent leges (in war the laws are silent), but we reply the Constitution was made for peace and for war and its voice is too potent to be drowned in the din of arms. But "the Government must be maintained, the Constitution and the Union must be preserved." We answer to violate the Constitution in order to maintain it is a contradiction in terms -- without it there is neither Union nor Government, which can exist only with it. The President's oath is to maintain the Constitution not to preserve the Union in some other mode. We ask you, fellow-citizens, have you ever had or heard from the adherents of the Administration -- the miscalled Union party -- any other justification attempted? Or this eked out with grandiloquent platitudes about the stars and stripes, our flag and the eagle? There is one more -- the supreme law of necessity! Necessity for what and whence? If the necessity has been produced by the Administration instead of palliation it is but aggravation of its offenses. What then is this necessity? We are told that the seceding States have repudiated the Constitution and deserted the Union; they must be coerced to return to the one and to submit to the other. The Constitution gives no power to coerce a State; the power is indispensable, therefore we must usurp it. The President has told us that [the war] cannot settle the issues that divided the North and the South. 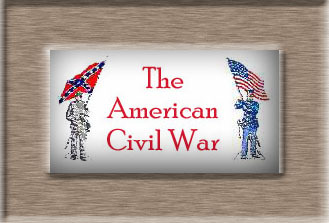 His more conservative adherents declare it is not waged for conquest or subjugation, whilst the abolition wing of his party frankly declares that its motive and its inevitable consequence is to emancipate the slave and destroy the South. Whatever the opinion elsewhere six months ago except a few isolated Republicans the citizens of Maryland almost to a man of every party denounced the coercive policy and coercive war as fatal to the continuance or the restoration of the Union, and none more earnestly or persistently than the members and leaders of the Union party. We adhere to that opinion still. What reason have they found for renouncing a truth so indisputable? But we are asked what good can the peace party do if they control the State? They cannot stop the war. We can and will at least refuse to aid in dragging Maryland into the slaughter-house. We can and will refuse at the bidding of the Administration to impose a war debt on her depleted treasury, to tax her citizens or to draft them for the battle-field. We can and will refuse to acknowledge that the Constitution is intermittent--performing or ceasing its functions at the will of the Executive. We can and will refuse to renounce the rights of our citizens or the sovereignty of the State, and will not by assenting to the exercise of powers not conferred by the Constitution admit that it is not supreme in war as well as in peace. We have addressed you thus freely in plain words that there may be no misunderstanding. We have not stooped to pick the delicate phrases of a new-fangled loyalty. We do not counsel treasonable acts or combinations; we do not advise violence in conduct or unkindness in feeling; we abet no resistance to the law or its constituted authorities. But we think and say that we should not consult our fears rather than our consciences; we should not volunteer our substance to the taxgatherer or our hands to the fetters. If we are doomed let us not be suicides. Whilst we are permitted to speak let us speak boldly for the truth and justice and civil liberty; whilst we are permitted to vote let us declare by our bolts that we cling to State rights as the only barrier to oppression and that we know no necessity superior to the Constitution. Let us continue to advise as the Union party did in February last "that if it be found we cannot live together in harmony under the Constitution our fathers framed let us as brethren agree to part in peace," and to disclaim indignantly the doctrine of coercion by arms. If we cannot command let us at least invoke the blessings of peace--peace to a distracted land which partisan sectionalism has summoned to hatred and slaughter! Peace for the sake of those republican institutions which our forefathers left us and which are sinking fast in the red abyss of civil war! Peace for the sake of palsied labor and idle trade! Peace for our good old State, distracted and prostrate, doomed else to be the prize as she is daily more and more the victim of war! "Resolutions of the General Assembly of Maryland in relation to the arrest and imprisonment of Ross Winans, esq., &c."
BALTIMORE, MD., July 29, 1861. Resolved, That the senate and house of delegates of Maryland in the name and on the behalf of the good people of the State do accordingly register this their earnest and unqualified protect against the oppressive and tyrannical assertion and exercise of military jurisdiction within the limits of Maryland over the persons and property of her citizens by the Government of the United States, and do solemnly declare the same to be subversive of the most sacred guarantees of the Constitution and in flagrant violation of the fundamental and most cherished principles of American free government.